It is times like these that identifying operational risk is more important than ever for the oil and gas industry. According to the EIA, safety incidents go up in the years following a downturn. As the figure below illustrates, after oil prices dropped from 2000 to 2002, a 6 percent rise in lost time injury (employee injury that leads to the loss of productive work time) frequency followed in 2002-03 as market activity began recovering. And again, after oil prices dipped in 2008-09, the industry experienced a 14 percent increase in lost time injury frequency rates in 2012 compared to the levels documented in 2010. As current business conditions in the industry start to improve, safety and risk management needs to remain a top priority for oil and gas companies to mitigate the risk of future safety incidents. These companies need transparency in their business processes, so they can make the best decisions based on facts and data. Although barriers against major accidents have always been used in the oil and gas industry, catastrophic failures such as the Deepwater Horizon oil spill in 2010 have led to an amplified focus on how these barriers are understood, evaluated and controlled by the organization. Even though the concept of barrier management has been around since the early ‘90s, it is still a relatively unfamiliar term in the industry. We’ve asked analysts and oil and gas officials for years if they are familiar with the concept, and we often find they aren’t. It is surprising because if you ask any business leader today what they appreciate greatly at their company, many of them will mention the word “truth” or “transparency” in regard to the state of business operations. That means a single source of undeniable, factually accurate, non-manipulated truth. Introduce into that same conversation safety, reputation, financial stewardship, environment or production milestones and truth becomes harder to locate. Developers of business intelligence content are deeply aware of the need to sanitize information as it moves upward in an organization. However, misinterpretation can occur during the transition into a summary view. We often hear about dishonesty in reporting and operations. So there is an expertise to providing a single source of detailed information and at the same time articulating corporate objectives in summary form. The barrier management approach provides transparency by conveying a clear risk profile of a given site. In a barrier model, each performance standard relates to one of a set of barriers in the occurrence of a major incident and each barrier can have many standards relating to it. For example, the standard for a safety sprinkler system will relate back to the Protection Systems barrier. If regular inspections of safety critical sprinkler systems assets are overdue or an operational risk assessment describes the deviation from the performance standard, these cumulatively impact the related barrier’s effectiveness. As a result, it will degrade and the potential for an accident will increase. The visual representation on that day, for that site and in that area will be highlighted by a barrier color change (red, amber or green) depending on the severity and likelihood of a failure. The visual display allows the company to properly analyze risk by giving the organization an insight into the barriers protecting your company. You will be able to monitor and, and in turn make decisions that prevent these failures, but the system will not shut off operations automatically even if a barrier shows the highest level of risk. A human must manually shut it off. This combination of human input and automated input provides the most holistic view of real time operational safety barrier health. The dashboard is viewed by senior management and health and safety regulators, operations in daily meetings, maintenance teams and technical authorities, which helps establish a level of control and transparency over a complex, asset intensive organization. As the market picks up and danger of increased safety incidents could occur, oil and gas companies need to make decisions now for how they create a better safety culture at their organization. With regulatory demands increasing and operational uptime remaining imperative, we need barrier management to provide transparency and actionable intelligence, enabling strong accountable leadership decisions based on fact and not hearsay. Michael Mostert is the managing director of RiskPoynt, an innovative, SaaS based, risk management solution focused on lowering cost and improving process. 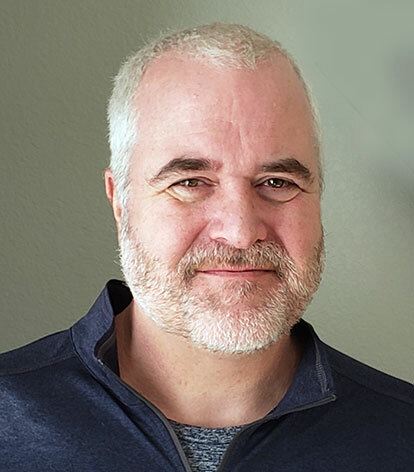 With over 20 years of commercial software experience, Michael Mostert has delivered software and services to a global community of oil & gas, mining, utilities, manufacturing and transportation industries.